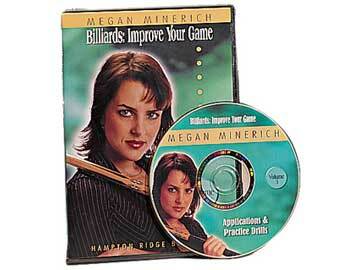 Megan Minerich's Improve Your Game series volume 3 - Applications and Practice Drills offers advice on how to utilize practice as an enjoyable way to develop skills and play a more consistent game. In this instructional DVD you will learn aiming techniques and how to incorporate the 4 strokes of pool as a reference for executing any shot in the game. Techniques learned in this video will take your game to a higher level.